Do you want to play old school games on your smartphone? This guest post shares four apps that you can use to play your favorite retro games. The top three gaming consoles of all time (Wii, Playstation and PS2) have each sold over 100 million units. 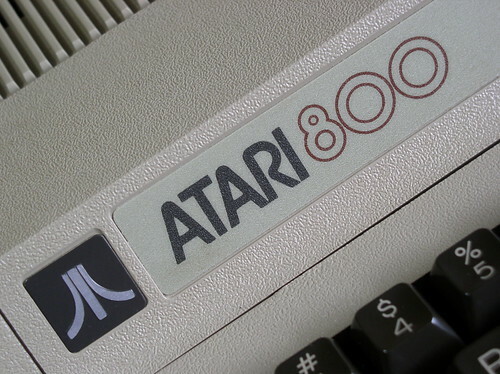 Since 1977, over 30 million Ataris have been sold, according to Examiner.com. Gaming represents a long-term investment of both time and money, but since the '70s developments in technology have moved many of these games from our TV stands to our fingertips — literally. Old-school gamers now own iPhones, Blackberrys or Android phones, and developers have created apps for these smartphones that emulate classic game systems. For true lovers of the classics and Blackberry owners, the Atari800 emulator allows you to play Atari games on certain Blackberry devices. Though the program is free, it's not available through the traditional app store (Blackberry World). As a result, it's best to go in with a little technical knowledge or ask a friend to help you get the emulator and associated ROMS going. You can even play the best-selling Atari game of all time — the legendary "PacMan." This GameBoy Advance simulator is Android exclusive, but it touts a fully functional free version on its download page. A paid version makes it easier to save and allows you to use the "tilting" mechanisms of smartphones to play everything from Golden Sun to Mario vs. Donkey Kong. 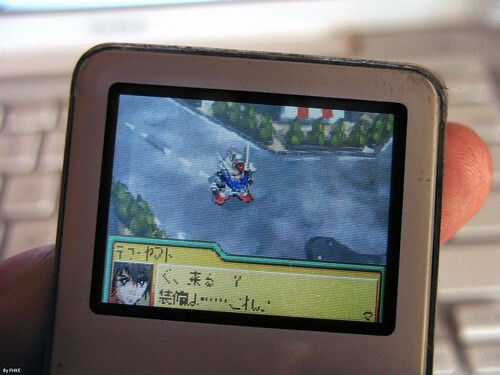 As in all emulators, the games are downloaded separately as ROMS, and the selection depends on which titles have been converted. The developers behind SNES8X originally created a web-based computer emulator of the Super Nintendo system. This program has been adapted into a free Windows Phone app. The controls are more difficult to adapt to than those of an original handheld system, but the graphics are sharp and the nostalgia is strong. After a short download, you can sit down with "Batman Forever" and get your 1995 on. As you might expect from its title, this cross-platform emulator allows you to play GameBoy Color games on almost any smartphone. It can even be synced with a WiiMote for the full controller experience —though you will admittedly sacrifice portability. A bonus is the ability to fast forward through cut scenes and dragging conversations with Professor Oak in "Pokemon Silver Version." Whether you're too cool for mainstream systems or games like JewelQuest or looking for a simpler alternative to all those cards and coins, the first-ever game created for PC is now available on your iPhone. For only 99 cents you can play a game that, according to Leawo.com, was co-written by Bill Gates himself. Game play is simple — a donkey and a speeding car avoid one another (or not) on a two-lane road. It's appropriate that this prehistoric predecessor to "Angry Birds" is now available on the same platform. Pixeled animals beware. Annie isn't your typical girl gamer. She went to school for graphic design and teaches yoga on the side, but her true passion ignites when there's a controller in her hand. What old school game would you like to play again? Have you tried any of these game emulators? I have Tetris and one of the Zelda games on my iPad right now. i still am using my 2600, well not really... it is a box without 70 games. with 70 games or so... nice read! I can't get near my Ipad as my boy is addicted to Star Wars Angry Birds. I doubt my crummy phone can use any of those but I did use an emulator a while back on my PC that was pretty cool for playing those old SNES and NES games I hadn't played in forever or hadn't ever got to play. It was good to know Bill Lambeer's Combat Basketball was as dumb as I always imagined it would be. I didn't know u could get all those. Makes me want to start trolling the App Store. 😍 It's so great to see the fun games we all played as kids get resurrected on new devices! I have it on Google Chrome so my son and daughter want the laptop when I'm not on it. Great artical. I have a "dumb"phone so all I can do is make and receive calls. My son has a Nintendo 3DS XL, and I go to the Nintendo eShop and download old NES and Gameboy games. I make him charge it in my room so that I can play Zelda or PunchOut!! Thanks for this great info, man!